Home › Adobe › Where is your Web Analytics Tool Now? June 2005 was a different era. “Crazy Frog” was number one in the charts, Star Wars Episode III was number one at the box office, iPhones were still two years away (am I making you feel old? ), Internet Explorer 6 was the latest release of the most popular browser, I was using Firefox version 1.0.7, YouTube was three months old and Google had just bought urchin with a view to releasing an Analytics tool. 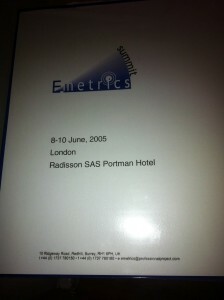 And most importantly I attended my first eMetrics in London. All the big guns were there. Jim Sterne hosted the thing, Neil Mason, Mike Grehan, Matthew Tod, Dr Dave Chaffey, Bob Chatham and Craig Sullivan (amongst others!) all spoke. Amongst the sponsors were big names like WebTrends, IBM and Omniture. But what became of some of those smaller web analytics companies that you don’t hear about any more? Where is Web Abacus? Who are Instadia? 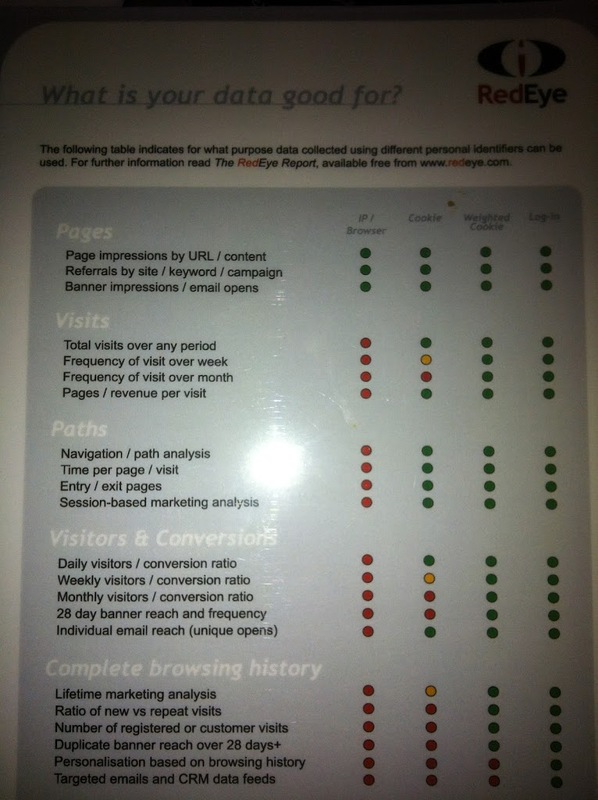 Does anyone still use Site Intelligence? Well this blog post is going to attempt to find out using the power of my memory (and Google). This is easy this, isn’t it? WebTrends still exists. They might have gone through a lot of change over time – their entire board got ousted at one point – they’ve increased their portfolio and they’ve moved from on premise to being almost entirely on demand these days. They might even have almost shaken off their tag as the first tool that companies bought before replacing it with something that was ‘better’ (read, hiring an analyst to use the new system properly). 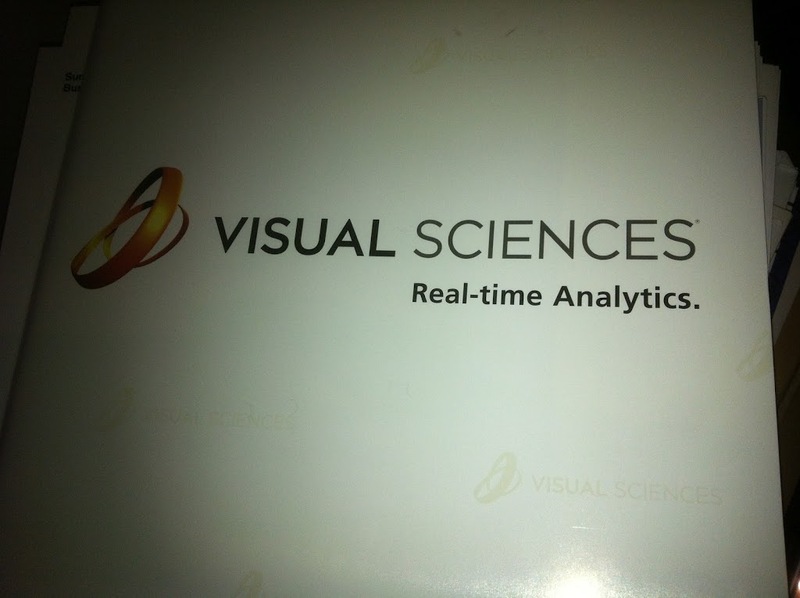 Visual Sciences was a ‘high end data analysis and visualisation’ tool. The customer base was small, but it was a very powerful tool. The company was acquired by WebSideStory in 2006 to add to their product set. WebsideStory produced a tool called Hitbox (or HBX) that you may have heard about on this blog before. Interestingly having acquired Visual Sciences, WebSideStory rebranded themselves back to the Visual Sciences brand on the basis that the name was more synonymous with Analytics. Then in late 2007 Omniture announced that they were going to buy Visual Sciences for a silly amount of money (silly at the time of course – you wouldn’t think £360m for a Web Analytics tool was silly any more). Instadia were bought by Omniture back before the Visual Sciences acquisition was even a glint in the eye. Well in early 2007 anyway. The tools were ‘integrated’ into Omniture’s tools. And by that I mean they were turned off and the customers told to move to SiteCatalyst in a similar manner to the way HBX customers eventually were. 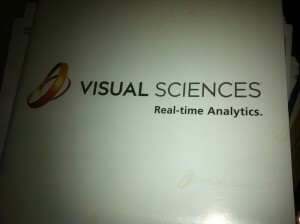 Having acquired Visual Sciences, Omniture went about rebranding all the products again. HBX became Omniture SiteCatalyst HBX. Visual Sciences became (eventually) a tool called Insight, which Omniture pitched in with SiteCatalyst and Discover, which were effectively in between the two models. HBX itself is finally due to close down at the end of the year as none of the contracts are being renewed, almost five years after the acquisition was announced. Of course lots of things have happened since then. The big one being that Omniture (with WebSideStory and Visual Sciences and all the other little add ons that they bought) was bought by Adobe for 1.8bn in September 2009. 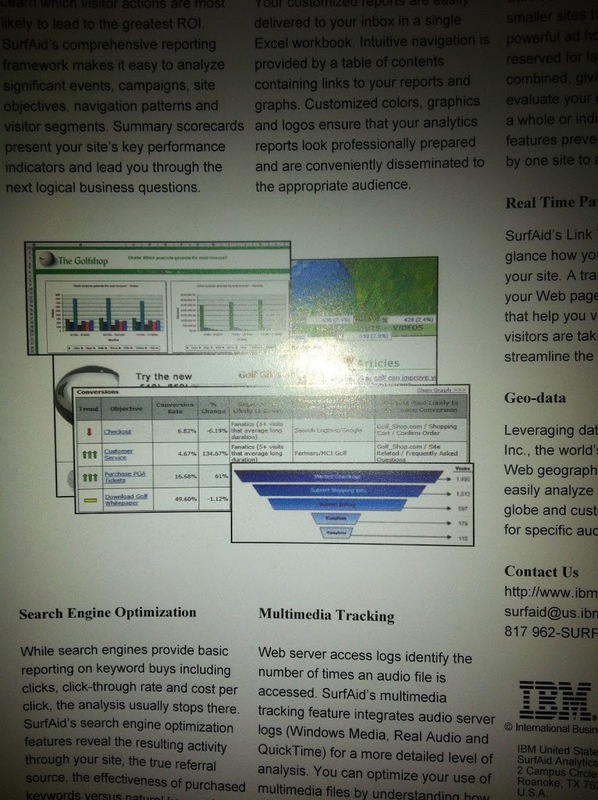 IBM’s SurfAid was one of the first tools to start talking about funnels and allow you to report in real time. Of course IBM decided that they didn’t want to be in the game for very long and sold up to CoreMetrics (ironically) in 2006. CoreMetrics having acquired SurfAid remained as one of the last remaining tools that offered a service as opposed to a tool (yes, yes, I know they’re called software as a service). You didn’t just buy access to the tool, but you got a guy in an office as well whose job it was to help you create reports. 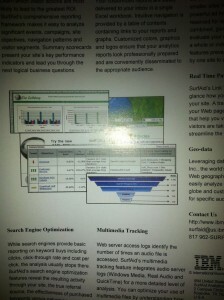 Ironically of course CoreMetrics was bought by IBM in June 2010. Unica’s flagship tool was NetInsight. It seems an odd interjection in the story of CoreMetrics and IBM, but it turns out that Unica was bought by IBM as well in August 2010 to add to their product list. Of course neither of these were particularly surprising as IBM had gone on a five year binge of buying big analytics tools, albeit not in the web sector, including SPSS, Cognos and various other data companies. Urchin was bought out by Google just prior to this conference in 2005. The tool itself was turned into a SAAS tool that was eventually released for free by Google in the form of Google Analytics. It was also kept as a ‘on premise’ tool that you could install on your system and look at your logs. In March 2012 Google has announced that it is no longer going to support the tool, striking the end to the on premise tool. DeepMetrix was acquired by Microsoft in 2006 and turned into Microsoft Gatineau (or Ad Centre Analytics). In March 2009 it was quietly turned off after low uptake and a failure to replicate Google’s success in turning Analytics into increased ad sales. IndexTools was acquired by Yahoo! in 2008 in what was called ‘A game changer‘. Unfortunately for Yahoo! it failed to be so, and whilst there were rumours abound that the whole company was going to be bought by Microsoft, the Analytics tools main job was to help sell the shop functionality. It was initially released as free, but on an invite only basis. Last month it was announced that only those people on Yahoo! shop were going to be allowed to use it in the future as the experiment was deemed a failure. Speaking of SPSS, what of them? They had a tool called NetGenesis that not many people will have heard of, but that I was using at the time. Did IBM integrate that into their systems? Having bought NetGenesis for $44m in 2002, it quietly discontinued 2007 it after failing to make sales and not keeping up with product development. 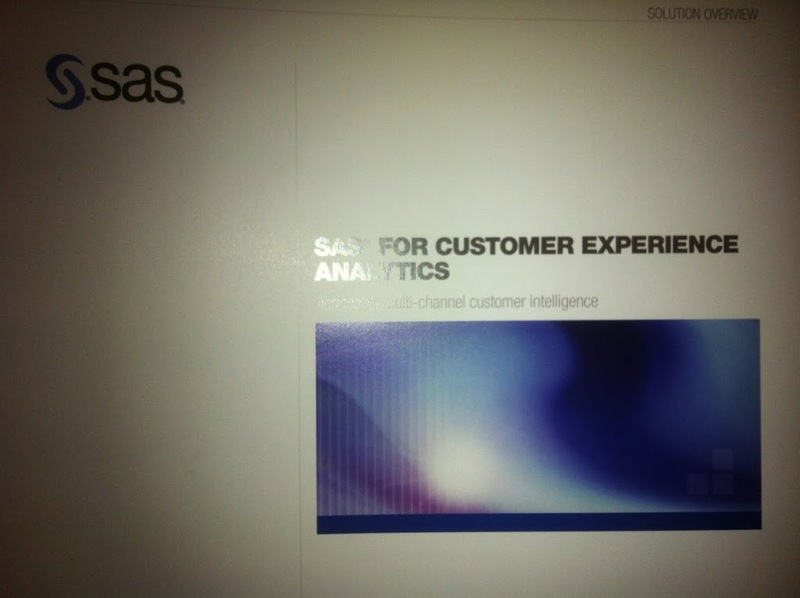 Speaking of high end, multidimensional Business Intelligence tools, SAS released their own tool in 2007 as well, which is still going strong. Well it is still going. 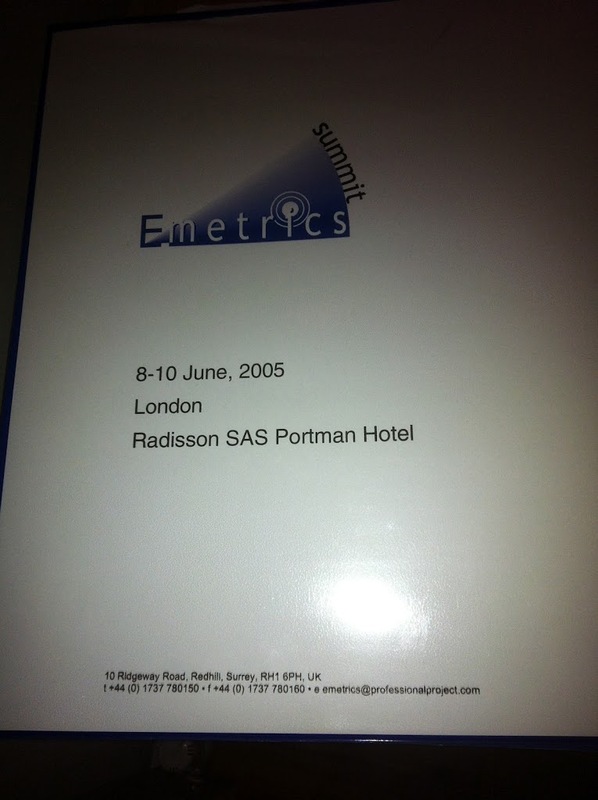 Webabacus merged with the Usability Company in 2005 before the Emetrics conference in what seemed quite an exciting merge at the time. Linking analytics and usability seemed like a great option, although these two functions still largely sit in different camps and are linked by analysts within companies, rather than within tools. In late 2005 the newly formed company rebranded as Foviance. Redeye were a relatively large UK company back in 2005. They’d released data on the accuracy of cookies over IP Address and useragent that people still quote today (7 times as many unique users!). Now they mainly focus on the email arm of the business. I always assumed (possibly very incorrectly) that Site Intelligence managed to keep themeselves in business with a large BBC contract. However these days they have rebranded themselves to iJento in October 2011. NedStat were one of the biggest players in the Scandinavian market back in the day. They still are of course, but they were bought by Comscore in 2010. Comscore of course had a long standing relationship with websites by producing panel based results and the acquisition was aimed at making their data more accurate and to give a wider range of products. WhenCanIStop was just a glint in the eye back in 2005 too, not to be released for another two years. However it is still going strong in 2012 with the same owner. Earnings from the blog have now soared to £0 a year, but ongoing costs continue to rack up (including lost sleep, hours of looking at Google Analytics and weeks writing these posts). Sorry if I missed your tool out above – this post was quite exhausting! ‹ Who would win in a fight between WebTrends and SiteCatalyst?